Have you ever painted a room and then put your old furniture in it? Pretty blah, huh? Then perhaps it’s time to take a few pages out of the Tufdek book and dress up your deck, patio, or porch with our deck decorating ideas! Older patio chairs can be downright torture, which in turn makes your deck feel less than welcoming. At the very least, pick up a few cushions and throw pillows to add a splash of color and make your vinyl deck a bit more comfortable to spend time on. If your current deck furniture is less than a hundred percent, consider upgrading to a new patio set – today’s models are the epiphany of relaxed outdoor living. Added tip: Pick up an outdoor rug that goes with your new furniture or pillows to create a cohesive look. If you feel like you’re always on display for your neighbors entertainment, consider adding some plants or a trellis with climbing vines for privacy is a great deck decorating idea. Evergreens are a great deck decorating idea, but bamboo grows fast and can handle the heat. Over time, we often replace items on our deck as they decline – a chair here, an umbrella there. Replacing (or repainting) furniture in one or two colors can create unified feel while also making everything on your deck shiny and new. 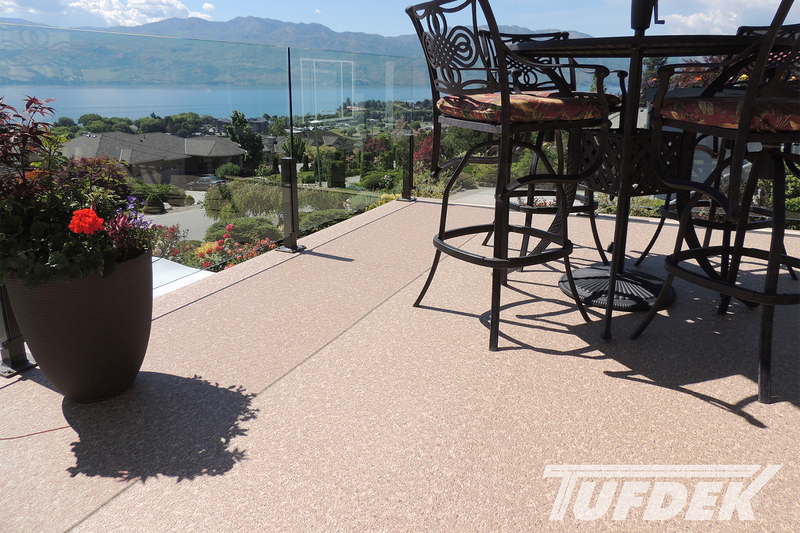 Because Tufdek is complete waterproofing solution, you can easily turn the space underneath your deck into a second living space by installing Tufdek on your main deck surface. 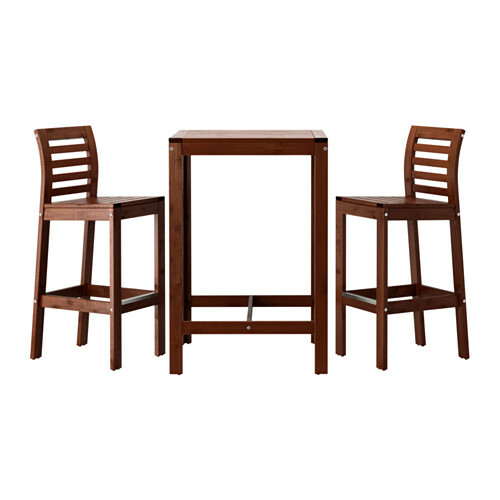 This is perfect for entertaining, or on hot days when you could use some extra shade. 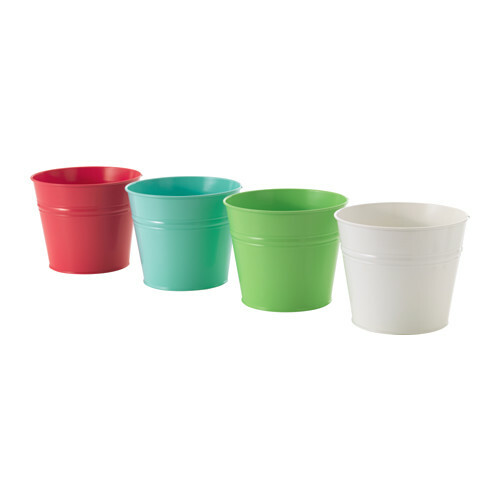 As with furniture, your plant pots can take a beating over the years. An eclectic look is great, but not if all your plant pots are chipped and shabby looking. 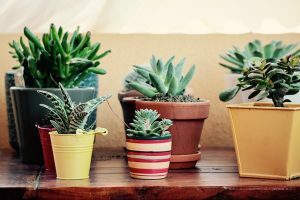 If you’re thinking about upgrading, start checking out sales at local hardware stores and nurseries – everything will get cheaper as the summer wears on. A great deck can be brought down by boring walls. Whether wood, vinyl, stucco or something else, a long expanse of wall does not lend itself to enjoying the outdoors – so hang some outdoor art! Even a cheap kite can add color and whimsy. Vertical gardens and shelving with small plants are also a great idea to break up the monotony. Old picture frames work great too and are pretty affordable. Check out local art classes – they often have stenciling sessions where you can make your own custom signs, for less than the price of buying. Idea Seven: How About a Hammock? If your deck is large enough, consider adding a hammock. It’s a great place to relax as well as being a conversation starter. Porch swings are a great choice too (and maybe a more realistic option if you have kids). For classy, sophisticated look, convert your furniture cushions to shades of white. While it might not be advisable for families (or serious red wine drinkers), modern fabrics are quite hard-wearing and stain-resistant. It’s time to change out the one floodlight on your vinyl deck and go for something a bit classier. 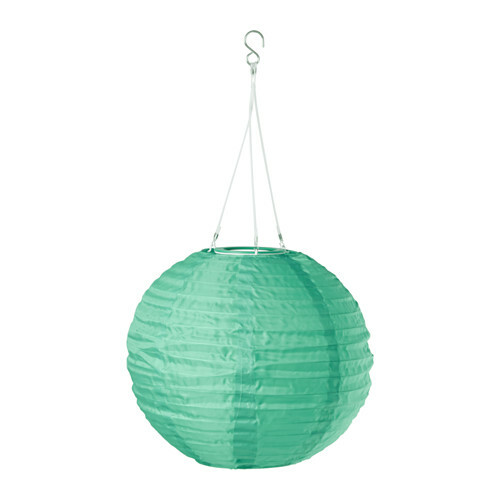 A string of lights, paper lanterns, or solar garden lights can turn your deck into a place you never want to leave. For large deck spaces with overhead roofing, why not add a hanging light with a fabric cover over the patio table? Home improvement and outdoor stores have some great choices, but don’t discount places like IKEA as well for some more ideas. Some decks might not be able to be “classed up” due to old railings, peeling paint, or a failing vinyl deck surface. In this case, it’s probably time to consider a new vinyl membrane and deck railing so you can start your deck off on the right foot. It’s not too late to book a consultation with a vinyl deck professional and get your deck a face lift before the end of summer!